Showing recent results 226 - 240 of 265 products found. JEM-Z200FSC (CRYO ARM 200) - JEOL Ltd.
Cryo-electron microscopy has been established as a method to enable observation of cells and biological molecules with no fixation and no staining. Owing to the recent rapid progress of hardware and software, this microscopy technique has become increasingly important as an atomic-scale structural analysis method. In addition, technologies that enable analysis of membrane proteins without crystallization have been developed, resulting in increased use of cryo-electron microscopy for drug discovery. Thus, installation of cryo-electron microscopes (cryo-EM) in universities and research laboratories is greatly accelerating. 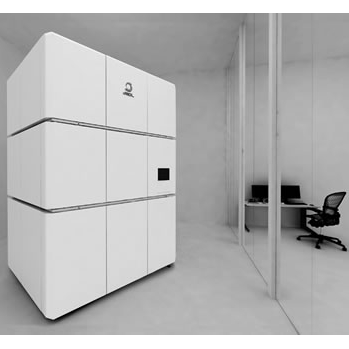 To meet the needs of cryo-EM users, JEOL has developed a new cryo-EM "CRYO ARM™ 200", which automatically acquires image data for Single Particle Analysis over a long period of time. 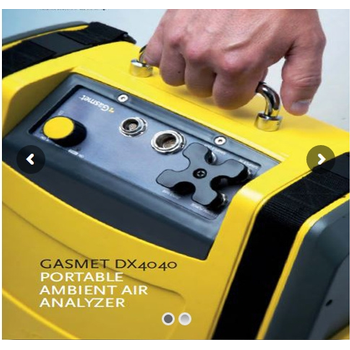 The Gasmet DX4040 FTIR portable gas analyzer can detect up to 25 gases simultaneously providing validated results in seconds. 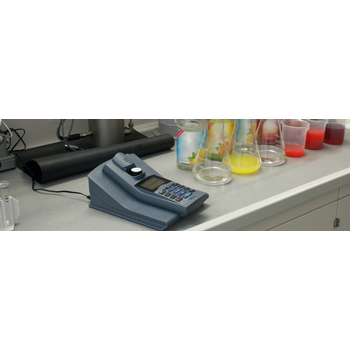 Measurement with the DX4040 is easy; sample gas is drawn into the analyzer with a built-in pump through a handheld particle filter and Tygon tubing. The analyzer runs in continuous mode, measuring time-weighted averages of user definable length from 1 second to 5 minutes. The DX4040 includes a built-in camera and GPS and measurements are easily linked to the exact physical location along with pictures. 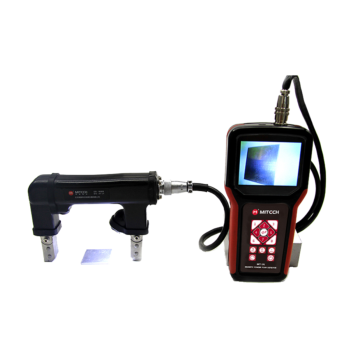 The DX-4040 is flexible and can be tailored to your specific gas analysis requirements. Digital portable magnetic flaw detector, adopts large capacity lithium battery power supply. DC is exchanged into AC by the inverter and the phase shifted signal processor to provide power for the detector, it solves the shortcomings of traditional magnetic particle detector relying on the 220V power supply. It has low power consumption and can continuous work for more than 4 hours. The battery can be charged while working or off. It can real-time monitoring, process image, save data, print the test report, track inspection results, meet the requirements of standard operation and management. Especially suitable for the field without power supply field testing and high-altitude operations, it realizes the innovation of magnetic powder digital inspection. 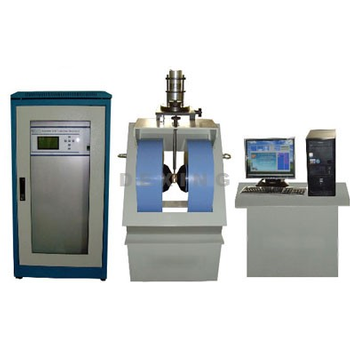 The VSM (also named M-H CURVE Hysteresis Graph TEST SYSTEM ) can be used for the measurement of the basic magnetic properties of the magnetic materials. Such as the Hysteresis loops of the materials, Magnetization curve, Warming Curve , Warming /Cooling curve, Cooling curve and the changes of the temperature as time goes away , then we will get some Magnetic parameters such as the Saturated strength of the magnetization, the left strength of the magnetization , Coercive force, the Max of Magnetic energy product,the Curie temperature and the Magnetic conductivity(the Initial Magnetic conductivity is included ). It can also measure the magnetic materials such as the powder, the particles, the films, the liquid and the massive. The N968 is a spectroscopy amplifier implemented in a one unit wide NIM module. It accepts the typical outputs generated from either optical feedback or resistor feedback preamplifiers connected with nuclear particle detectors. The output is quasi gaussian with 0 to +10 V output dynamics. A front panel switch allows to select between positive and negative input signals. Gain setting can be performed continuously in the 10 ÷ 1500 range, product of Coarse, Fine and Superfine Gain. Two internal jumpers allow to set a x 0.1 attenuation and a further x 2 amplification, thus extending the gain range to 1 ÷ 3000. The shaping time values are 0.5, 1, 2, 3, 6, 10 µs. CS-3000 - NCS Testing Technology Co., Ltd.
A sample of typically 0.5 to 1.0g is weight into a crucible together with 1.5g of tungsten accelerator. This crucible is placed on a pedestal which drives it into an induction furnace by a pneumatic system. The sample is completely burned in the furnace by pure Oxygen.The Carbon of this sample is oxidized to CO2 and the Sulphur content to SO2. Dust and other particles are trapped in a filter system.The CO2 and SO2 is transported from the furnace in the Oxygen carrier gas to the infrared adsorption detectors.The actual gas concentrations are determined and the data are send to the PC.The operation software is calculating the results after integration of the whole signal peaks. A calibration with known samples builds up a database which created the necessary accuracy and precision. The burned crucible is driven out of the furnace by the pneumatic system and disposed by an operator. The furnace and gas flow system is purged after analysis by clean Oxygen to avoid any interference (memory effect) of the individual samples. The FerroCheck 2000 is a portable magnetometer offering accuracy and convenience for total ferrous measurement of in-service lubricating oils. FerroCheck enables users to perform accurate measurements of ferrous wear particles, both in the field, and in the lab where it can be used to analyze gearbox, transmission and other fluids in fleet and industrial maintenance applications. FerroCheck works by sensing disruption of a magnetic field that is generated due to the presence of ferrous debris, specifically iron, in the oil. Operation involves simply drawing the sample, placing it in the instrument and using the touchscreen to complete the analysis and view the results. 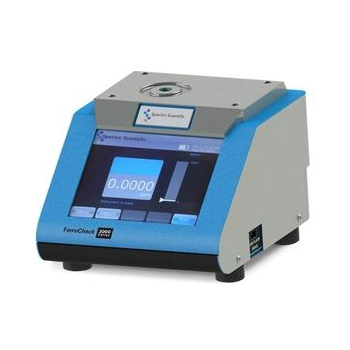 Non-lab personnel can operate the FerroCheck with no solvents or sample preparation required. The lightweight unit weighs less than five pounds, is compact and battery-operated for fast, 30-second testing of small samples. 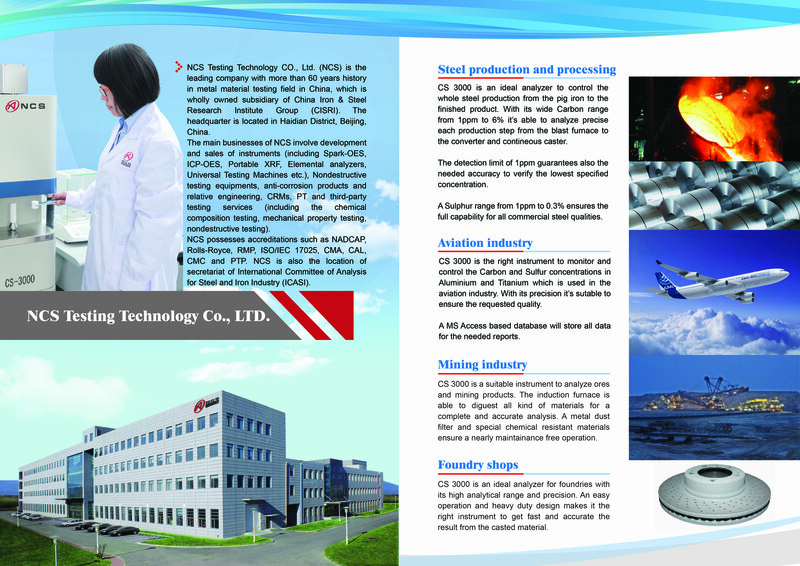 Shanghai Selon Scientific Instrument Co. Ltd.
Powder is a complex system both in flowing and static state. The intrinsic properties as well as friction between particles express some special flowing properties, research on which is significant for powder processing, packing, transport and storage. 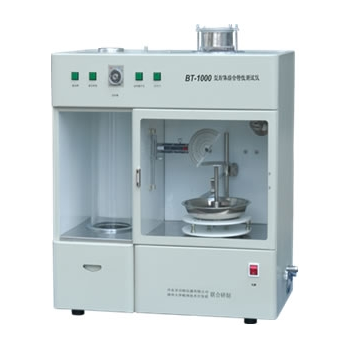 BT-1000 Powder Integrative Characteristic Tester is co-developed by China Tsinghua University, Dept of Power Tech. Development and Danodong Bettersize Instrument Co., Ltd designed for evaluating flowing properties of powder including angle of repose (AOR in short), collapse angle (CA in short), flat plate angle, dispersibility, loose (bulk) density, tap density, etc. through which the difference angle, compressibility, voidage, regularity & uniformity (R & U in short) are obtained, as well as flowability and jetting ability by Carr index. The instrument is characterized by multi-use, easy operation, good repeatability, flexible test requirement and multi-standard available, etc. It provides a new method for powder integrative characteristic test in research and production. 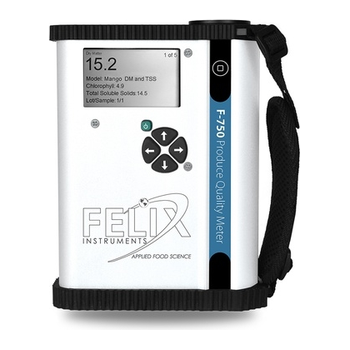 The F-750 Handheld Brix & Dry Matter Meter uses near-infrared (NIR) spectroscopy to estimate quality metrics such as dry matter, Total Soluble Solids (TSS or brix), titratable acidity, and color. Working like a high-powered flashlight, the F-750 sends particles of light into a commodity, then measures the NIR light interactance with molecular components inside of the commodity to quantify user-selected traits. The F-750 has a wide range of applications, from determining optimal harvest timing by assessing fruit maturity, to providing an objective analysis of produce quality of fruit in packing houses and upon import. The F-750 is a handheld, fully integrated system, allowing users to operate it out in the orchard or inside the QA lab. Its simple, intuitive user interface makes it easy for anyone to use, while its model building software makes it customizable and versatile. 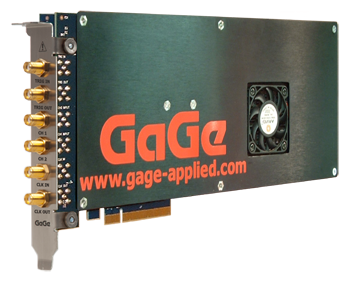 Available in 4-CH and 2-CH models featuring 17 software selectable A/D sampling rates from minimum 1 kS/s to maximum 200 MS/s per channel with input bandwidth of 125 MHz. ADC data can be captured in quad, dual, or single channel modes. Full-featured front-end with software selectable DC/AC coupling and 50Ω / 1MΩ inputs. Ease of integration with External or Reference Clock In & Clock Out. External Trigger In & Trigger Out with advanced triggering operations. PCIe Gen2 x8 data streaming rates at 1.6 GB/s. Programming-free operation with GaGeScope PC oscilloscope software. Software Development Kits available for C/C#, LabVIEW and MATLAB for custom application development. 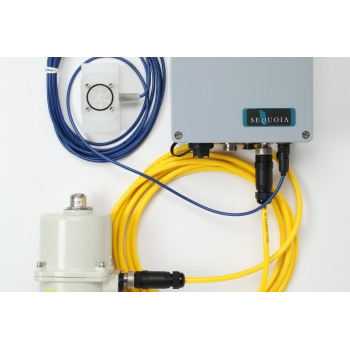 Ideal for applications such as Automatic Test Equipment (ATE), Wideband RF Signal Analysis & Recording, RADAR, Electronic Warfare (EW), Ultrasonic Non-Destructive Testing (NDT), LIDAR, Communications, Spectroscopy, High-Performance Imaging, Time of Flight (TOF), Life Sciences, Particle Physics, and more. 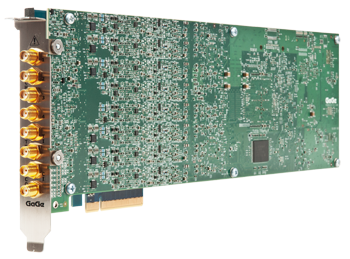 Available in 2-CH and 1-CH models featuring 27 software selectable A/D sampling rates from minimum 1 kS/s to maximum 6 GS/s per channel with input bandwidth of 1.75 GHz. 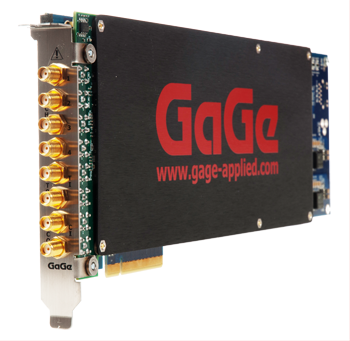 ADC data can be captured in dual, or single channel modes. Full-featured front-end with DC coupling (AC optional) and 50Ω inputs. Ease of integration with External or Reference Clock In & Clock Out. External Trigger In & Trigger Out with advanced triggering operations. PCIe Gen3 x8 data streaming rates at 4+ GB/s. Programming-free operation with GaGeScope PC oscilloscope software. Software Development Kits available for C/C#, LabVIEW and MATLAB for custom application development. Ideal for applications such as Automatic Test Equipment (ATE), Wideband RF Signal Analysis & Recording, RADAR, Electronic Warfare (EW), Ultrasonic Non-Destructive Testing (NDT), LIDAR, Communications, Optical Coherence Tomography (OCT), Spectroscopy, High-Performance Imaging, Time of Flight (TOF), Life Sciences, Particle Physics, and more. 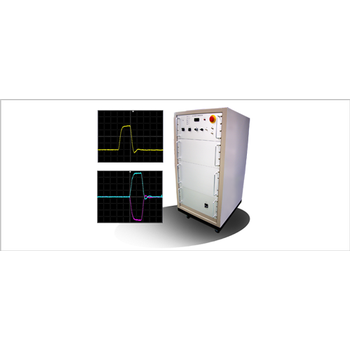 Available in 4-CH and 2-CH models featuring 20 software selectable A/D sampling rates from minimum 1 kS/s to maximum 125 MS/s per channel with input bandwidth of 100 MHz. ADC data can be captured in quad, dual, or single channel modes. Full-featured front-end with software selectable DC/AC coupling and 50Ω / 1MΩ inputs. Ease of integration with External or Reference Clock In & Clock Out. External Trigger In & Trigger Out with advanced triggering operations. PCIe Gen2 x8 data streaming rates at 1 GB/s. Programming-free operation with GaGeScope PC oscilloscope software. Software Development Kits available for C/C#, LabVIEW and MATLAB for custom application development. Ideal for applications such as Automatic Test Equipment (ATE), Wideband RF Signal Analysis & Recording, RADAR, Electronic Warfare (EW), Ultrasonic Non-Destructive Testing (NDT), LIDAR, Communications, Spectroscopy, High-Performance Imaging, Time of Flight (TOF), Life Sciences, Particle Physics, and more.